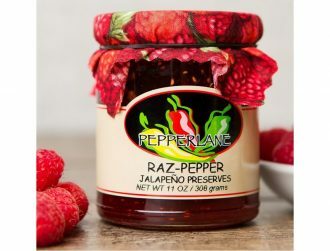 We use just the right combination of rich blackberries and jalapeños to make this a true flavor “buzz” for glazes and sauces. 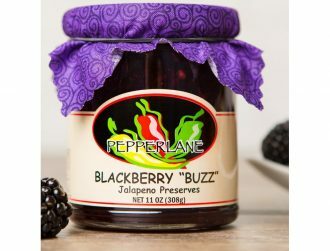 Try Blackberry “Buzz” Preserves in your yogurt or drizzled over ice cream. 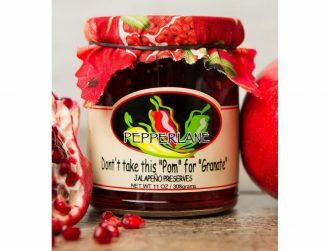 By using a variety of sweet, plump, cherries and combining them with jalapenos we have enhanced one of nature’s most amazing foods. 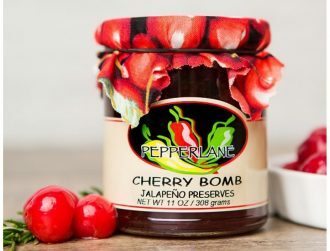 Cherry Bomb Jalapeno Preserves is a perfect blend of sweet and tart with our signature kick. Try it on ribs at your next barbeque. 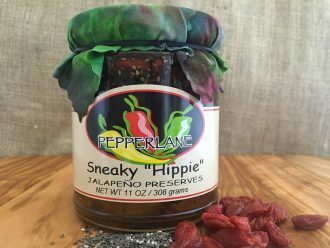 Plump, tart cranberries pair with jalapenos to create a sharp, vibrant cranberry taste with kick. 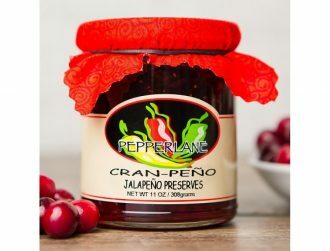 Use Cran Peno Preserves as a condiment to add a new dimension to chicken, pork, or a roasted turkey sandwich. 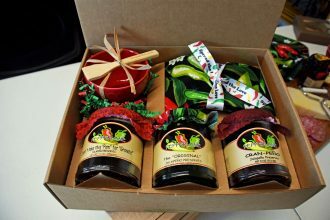 Try it in place of cranberry sauce at your next holiday gathering. 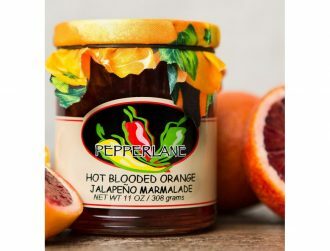 We blend the crisp heat of jalapenos with the deep flavor and magnificent crimson flesh of the specialty blood orange for our delicious Hot Blooded Orange Preserves. 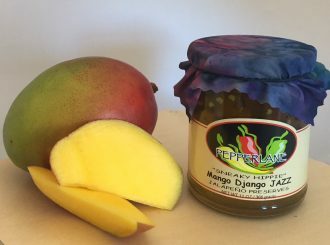 Try it as a sauce or glaze on duck or pork or liven up your stir-fry. 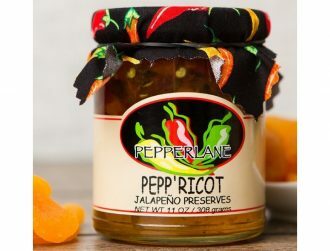 The sweet tang of juicy apricots gives our Pepp’ricot Preserves its delicious fruity flavor. 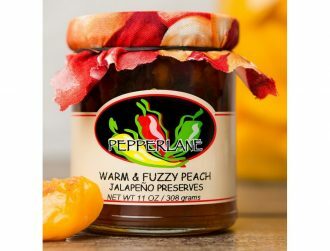 Sweet red peppers blend with the golden orange of apricots and our jalapenos for an extra eye-appealing preserve with a kick. 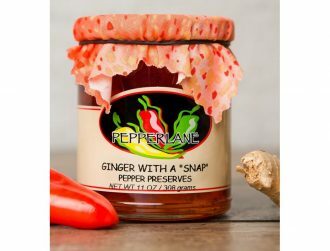 Try it with roasted chicken or pork. 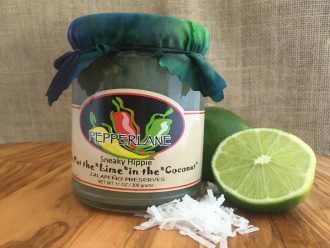 By combining jalapeños with juicy, golden pineapple and sweet red peppers we have created a tropical taste sensation with heat and crisp flavor that is as beautiful as it is delicious. 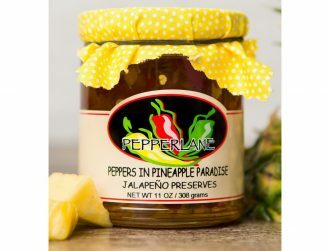 Peppers in Pineapple Paradise is a great addition to a ham sandwich. 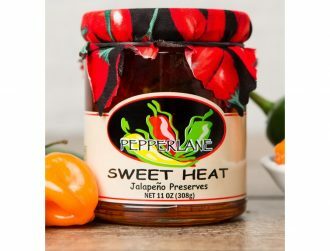 Sweet Heat expertly balances habanero peppers with jalapenos. 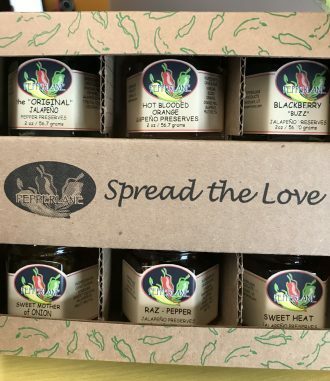 It’s all you need for flavor with a kick! 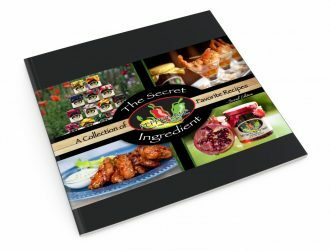 Try it on wings, sandwiches, or use it with a specialty or artisan cheese such as brie. Try it as a dipping sauce for your favorite Asian pot sticker. 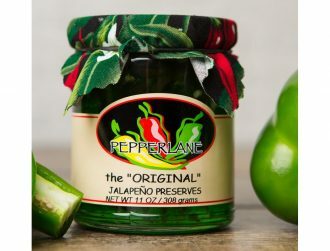 Made with fresh jalapenos and green peppers, our Original Jalapeno Preserves is traditionally poured over cream cheese and served with crackers. 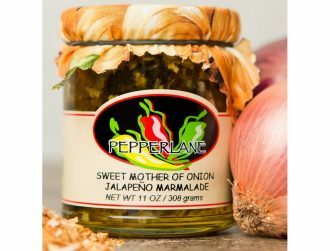 It can also be used as a marinade, sauce or glaze for many dishes. 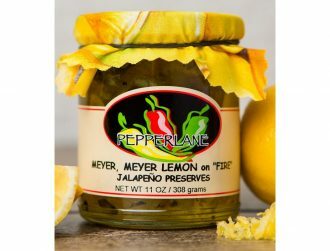 The flavor is a sweet blend of jalapeno fruit and green peppers. The original favorite!